When Mr Weasel and I were living in Paris, we spent a lot of our time in one of the city’s Chinatowns, along the Avenue d’Ivry. It’s more a Cambodia-town or a Vietnam-town than London’s Chinatown, which is full of Chinese people and food; France is home to many more Vietnamese, Laotian and Cambodian people than the UK is, and this is reflected in the food. 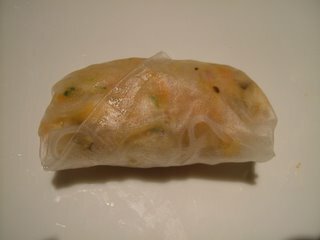 One of my favourite Vietnamese dishes is these spring rolls, which are very hard to find in restaurants in the UK. Many cultures cook things wrapped in other things – there is the burrito, the Malaysian po pia, the fajita, the crèpe and . . . I suppose the closest English equivalent is the Cornish pasty. The cha gio stands head and shoulders above all of these – it’ s got texture and flavour to beat them all to a pulp in any contest of wrapped-up-things you may choose to imagine. 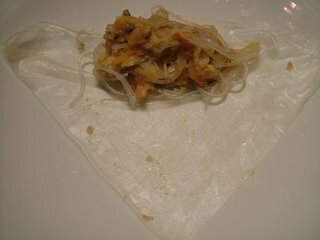 Cha gio get their texture, both crisp and chewy all at once, from the rice paper skins they are wrapped in. You can find these in good oriental supermarkets, and although they’re a little fragile when dry, they’re very easy to handle and wrap with. The finished rolls are wrapped in lettuce and herbs, making them taste fresh and light. Soak the noodles in boiling water and set aside, draining and rinsing in cold water after 15 minutes. Put the mushrooms, water chestnuts, crab, pork, prawns, onions, garlic and shallots in the food processor and pulse until chopped finely. Use your hands to stir in the fish sauce, the eggs, the carrots and the noodles. Fill a mixing bowl half-full with warm water, and dissolve about six tablespoons of caster sugar in it – the sugar will help the rolls brown and help the sweetness of the carrots come through. 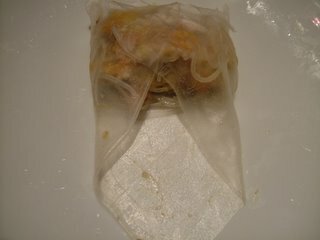 Soak a rice-paper disc in this until it’s soft and pliable. Cut it with scissors into quarters. Place a dessert spoonful of the filling on the curved edge, fold over the adjacent corners and roll up, as in these photographs. Deep fry the little rolls (I use a wok, which helps save on oil) until they are golden brown. 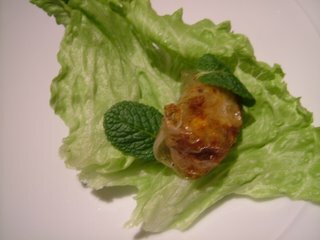 To serve, wrap each one in a leaf of lettuce with some mint leaves. 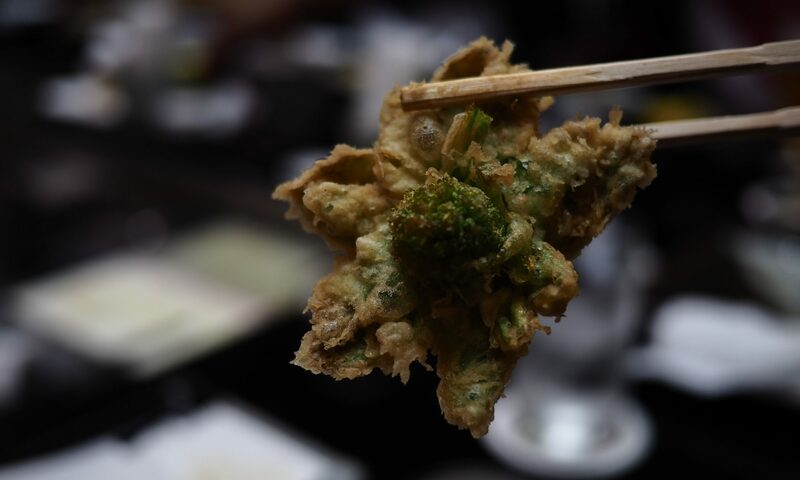 Dip in the spicy sauce and do your very best to nibble delicately. Delicious. YOU LIVED IN PARIS! I am so jealous. I have only been to France once, on a cruise that stopped in Marseille. We were supposed to go to Nice, but something went terribly wrong. But I did get to see the Palace of the Popes which was cool. Love these kind of spring rolls. In fact I love Vietnamese food period. If you live in England I can recommend some really great Vietnamese restaurants around the East End of London. The Viet Hoa is particularly good. I love what you cook in your kitchen! 10 random facts you didn’t know about me. I hope you don’t mind. Gosh, nems are one of my very favourite things, but it’s so long since I’ve had them, I’d forgotten all about them. Had I known you were making these you’d have found me keening at your kitchen window. And, dammit, weasel, I’m stranded halfway between lunch and supper here! wow! this looks de-lish! 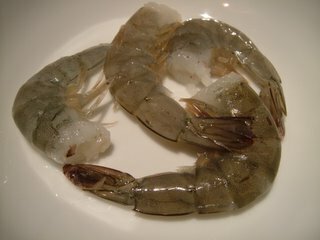 haven’t tried one yet..i might as well cook it myself! Here’s tagging you for the second time. This time i hope you join in (well, since you promised). how fascinating! i had only ever had vietnamese summer rolls, which are not depp-fried. when i went to georges in paris the other day, they served nems just like you do here, deep-fried and with some salad and mint leaves to roll then in… divine!!! One of my favorite things about living in Paris was the amazing Vietnamese food I ate there. 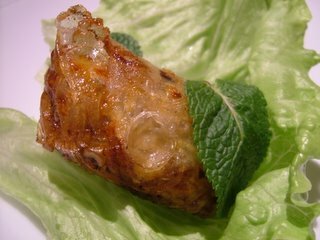 Nems wrapped in lettuce and mint leaves changed my life. I have been craving them for months, and the fillings for these sounds just how I remember – and I imagine it can be altered slightly to make the nems au poulet that I also miss. Hopefully I can try your recipe out soon!! I know the exact place you are talking about in Paris. I was just there this summer ’12 and it was so amazing. The Nems are so delicious its unbelievable. I wasn’t a fan of the mint leaf but I had never wrapped them in lettuce before and it was delicious, their homemade sauce is to die for. Can’t wait to make these tonight!